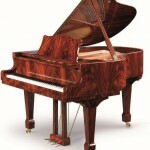 Schulze-Pollmann endeavours to build the best pianos in the world. Being based in San Marino allows Schulze-Pollmann to take advantage of the best piano builders, the best engineers, and the best artisans to create a truly remarkable instrument that is uncompromising in its style, tonal dynamism and clarity, and overall beauty. Schulze-Pollmann has successfully managed to add original elements of Italian taste and design with German technical knowhow, producing a remarkable blend of tradition, technology and elegance. Schulze-Pollmann are hand built using only the finest of components such as the Cierca soundboards (the same material Stradavari used in his violins), Stuttgart Renner action and hammers, and built by master craftsmen and are hand-finished by local artisans. Piano building in the Italian and German traditions produces extraordinary acoustic results, an exceptionally rich and mellow sound and remarkable sound dynamics giving an ample range of volume and expression. 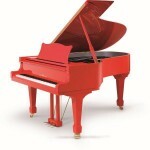 Schulze-Pollmann pianos are available in unique finishes that will inspire any designer and impress any guest. 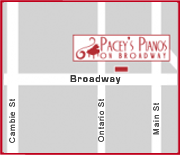 The piano cases are hand crafted by Italian artisans using traditional tools and materials to create truly modern expressions. 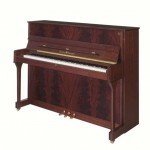 Schulze-Pollmann have a limited production and often have long lines of performers and stores clambering to have more of their pianos because of their beautiful sounds, unique finishes, and surprising value. The 160 GK Grand piano has a presence far beyond its apparent size. It sings and glows easily with the bright, yet full tonal clarity that is the hallmark of an Italian piano. The 160 makes use of all of the best European components that the larger 197 uses and is available in all of the same outstanding finishes. Powerful and thundering bass accompanied by the crisp and precisely Italian middle and treble will make any pianist and aficionado tremble, and make their heart skip a beat. There are not many pianos that can compete with the largest of the Schulze-Pollmann grands in grandeur, presence, grace, and esteem. 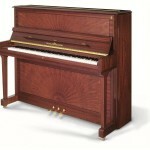 The Schulze-Pollmann 197 Grand Piano is truly an instrument that impresses. While all Schulze-Pollmann pianos are unique, hand-built instruments, the 197 G5 is available in a limited edition Rosso Formula built to mark the launch of Ferrari’s latest masterpiece.